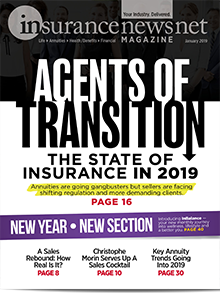 Independent insurance agents and broker-dealers might emerge as the big winners once the decade-long push for tougher standards is complete. Emphasis on might is important. 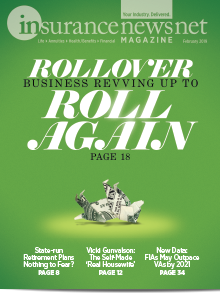 As this magazine went to press, the efforts by the DOL, the Securities and Exchange Commission and the states were heading in different directions. » No uniform standard. The commission crowd cheered loudest when the SEC released its Regulation Best Interest. 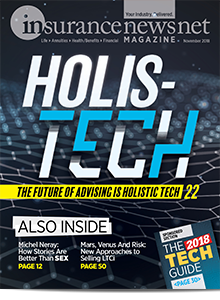 Despite taking steps to further regulate nonfiduciaries, the agency clearly stated, “We are not proposing a uniform standard of conduct for broker-dealers and investment advisors in light of their different relationship types and models for providing advice.” That’s a big endorsement of commission sales. » No heightened lawsuit threat. When the Fifth Circuit Court of Appeals tossed the DOL fiduciary rule, the lawsuit threat accompanying the Best Interest Contract Exemption went with it. And it does not appear to be coming back. » Little momentum for tough state rules. 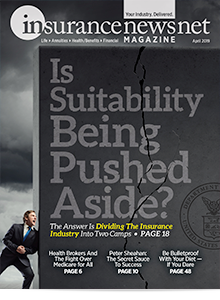 The National Association of Insurance Commissioners is trying to produce a best-interest model law for annuity sales and having little success with even modest rules. The industry, lawmakers and regulators appear close to fulfilling the generally agreed-upon regulatory answer of a decade ago: let the SEC set the rules. It just took many years and many hurdles to get there. The Dodd-Frank Wall Street Reform and Consumer Protection Act of 2010 singled out the SEC as the agency that should study and produce fiduciary or best-interest standards as needed. Years of political wrangling ensued, with the agency short two members from late 2015 until this year. In January, commissioners Hester M. Peirce and Robert J. Jackson Jr., both nominees of President Donald J. Trump, joined SEC commissioners Kara Stein and Michael Piwowar, along with SEC Chairman Jay Clayton. In recent remarks, the chairman said he expects the SEC to establish the authoritative rule for the industry. “There are too many regulatory cooks in the kitchen,” Clayton reportedly said during a May forum. The SEC released a set of three rules in April. The rules appear to have no impact on insurance agents, who are regulated by state insurance laws. » Sets a best-interest standard for securities transactions or investment advice about securities. The SEC does not refer to the standard as a “fiduciary” obligation, however. » Restricts use of “advisor” and “adviser.” Opponents lobbied regulators to crack down on what they claim is misleading use of these titles by nonfiduciaries. The SEC agreed. » Stepped-up disclosures. The rule includes new disclosures on things such as compensation and proprietary products designed to make sure the client is informed. In addition, a new “relationship summary” disclosure of no more than four pages is required to explain the basic relationship and any disciplinary actions. » No lawsuit option for investors. The SEC makes it clear that it does not intend the rule to “create any new private right of action.” Existing FINRA arbitration is the likely remedy for aggrieved investors, analysts say. The SEC is accepting public comment on its rule for 90 days after it is published in the Federal Register. The agency will also hold public forums on the rule in four cities: Houston, Denver, Atlanta and Miami. 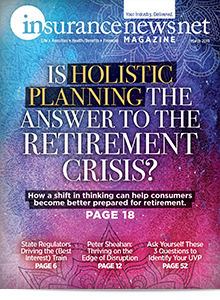 In normal times the industry could consider the DOL fiduciary rule dead and buried. Alas, these are not normal times in Washington, D.C.
» The federal government could petition the U.S. Supreme Court to take the case. While the high court accepts a very small number of cases annually, this issue – the power of a cabinet-level agency to regulate – likely would be appealing. But given that the Trump administration is a vocal opponent of the DOL rule and declined to appeal the Fifth Circuit ruling, any further appeal seems illogical. » The Fifth Circuit could undertake an en banc review on its own. 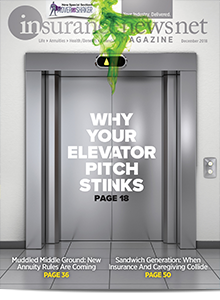 In a 2-1 decision, the court sided with a group of industry plaintiffs on March 15. An en banc review enlists the entire court to rehear the case. But AARP and three states (New York, California and Oregon) filed separate motions asking for an en banc review and the court denied both. Again, it appears the court decided that a full review of the decision is not necessary. Fifth Circuit Judge Edith H. Jones wrote in the majority opinion that the DOL rule "fails the reasonableness test" of the Administrative Procedures Act by extending the department’s ERISA authority to one-time IRA rollovers and similar transactions. The decision went on to admonish the DOL for exceeding its authority and reaffirmed the role of Congress and the SEC in regulating agents and advisors. If there is a wild card in the regulation of financial services, it is the states. Tasked with oversight of insurance, several states say they are tired of waiting for federal regulators to set best-interest or fiduciary standards. A few states, including Nevada, New Jersey and Connecticut, passed regulations or have them in the works. But New York is on the verge of approving rules that have the industry buzzing. New York regulators are even urging the NAIC to adopt its best-interest version, which covers life insurance as well as annuities. The NAIC Annuity Suitability Working Group produced a draft rule but is not getting anywhere close to a consensus on it. The group was expected to meet May 31-June 1 in Kansas City to discuss the proposal again. The department plans a March 1, 2019, effective date, after which insurers will have six months to comply. “New Yorkers must be confident that the insurance agents, brokers and companies that they rely on are recommending the right products for them, and that the consumer’s best interests are paramount,” said Maria T. Vullo, superintendent of the New York State Department of Financial Services.